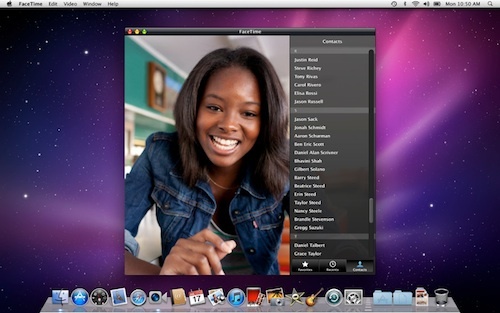 Apple yesterday issued an update to its FaceTime application for Mac OS X available in the Mac App Store. According to the release notes, the update brings improved performance for full screen video. Improves performance when FaceTime is taken full screen. While FaceTime had been a free application during the beta testing phase and comes preinstalled on new MacBook Pros, Apple charges $0.99 for existing Mac owners to download the application through the Mac App Store. The charge is said to be due to accounting requirements related to the addition of a significant new feature not advertised at the time of sale of earlier machines.